This is a good time for a quick refresher on the benefits of motorized shades in general. It may be true that there are still many good options available in traditional styles, but the plain fact is motorized shades can do so much more than their analog counterparts. The first and foremost benefit of motorized shades is they are much more convenient to use. Once installation is complete, you have total control of all the shades in any room of your house. Compare that to the experience of getting up from the couch or bed to adjust individual shades manually. Motorized shades are all very effective at lowering your utility costs. According to the U.S. Department of Energy, it’s estimated that almost half of a typical homeowner’s electric costs come from keeping the home heated and insulated. You can use motorized shades to reduce your energy usage by setting your shades to adjust themselves throughout the day. Using an automated schedule and a group of heat and light sensors, your shades will automatically raise and lower themselves as well as change the angle of the blinds (depending on the manufacturer and model). That process ensures you’re taking the most advantage of the available natural light to keep your home at an ideal temperature, which means less need for your heating and air conditioning system. Now that we’ve covered motorized shades in general, let’s move on to Lutron’s Palladiom line specifically. To start, Palladiom shades are engineered to run as quietly as possible when they’re being raised or lowered. The end brackets are made with an aluminum unibody structure, which hides the necessary electronic components as well the indicator lights. 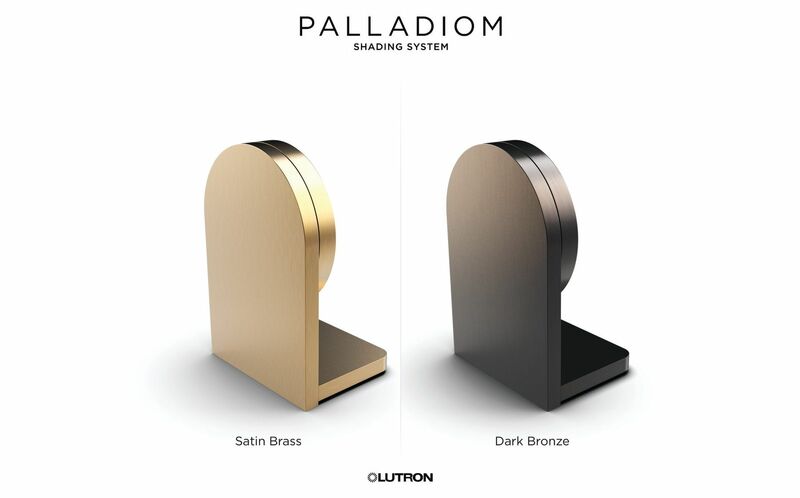 The engineers at Lutron also made sure the Palladiom shades can match any interior design, and the shades can be installed in minutes. In most cases, the shades have achieve a “floating” look because the hardware can fit inside a window recess without external mounting hardware. Palladiom shades are also made to allow as little light as possible past the edge of the shade, which further promotes greater energy efficiency. If you’re worried about finding as shades in the color or style you’re looking for, fear not. You can go to the Lutron website to examine the dozens of available styles, colors and fabrics. When you look at all the aesthetic and energy efficiency benefits, as well as the quality of the design, Palladiom shades are a no-brainer addition to your home. To find out more, call Insight Automation International at 250-248-5382, fill out our online contact form or click on the chat box in the lower-right corner of your screen.